The needs of refugees have never been greater: over 65 million people around the world have been forcibly displaced from their homes. 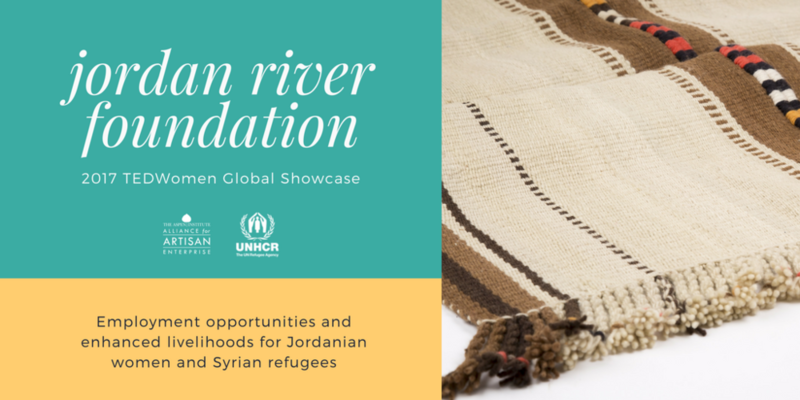 After fleeing war or persecution, artisan work can empower refugees to work, earn a living, and rebuild their lives in dignity. 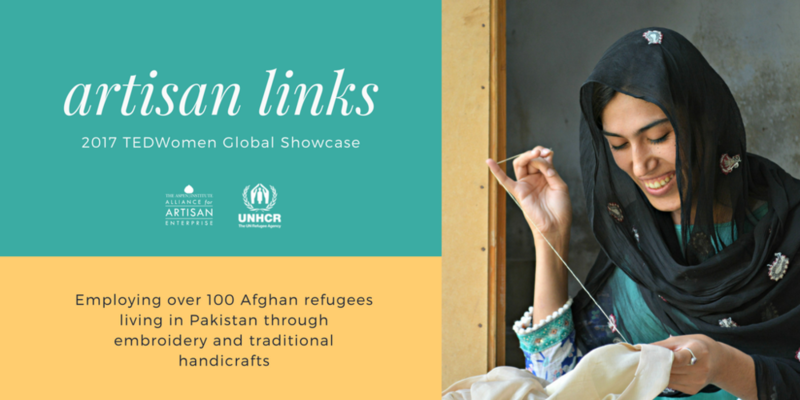 Join the Alliance for Artisan Enterprise and UNHCR at the 2017 TEDWomen Conference November 1-3 in New Orleans for this year's Global Showcase: Building Livelihoods for Refugee Women. 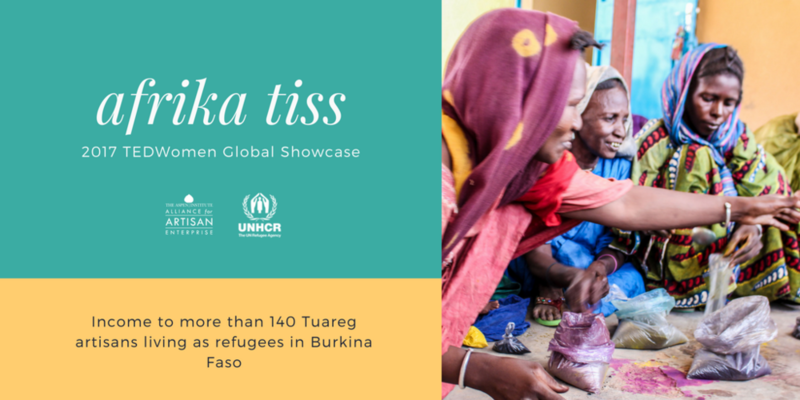 This year, the TEDWomen Global Showcase will feature 11 extraordinary enterprises working with refugee women in the hardest-to-reach communities in the world. 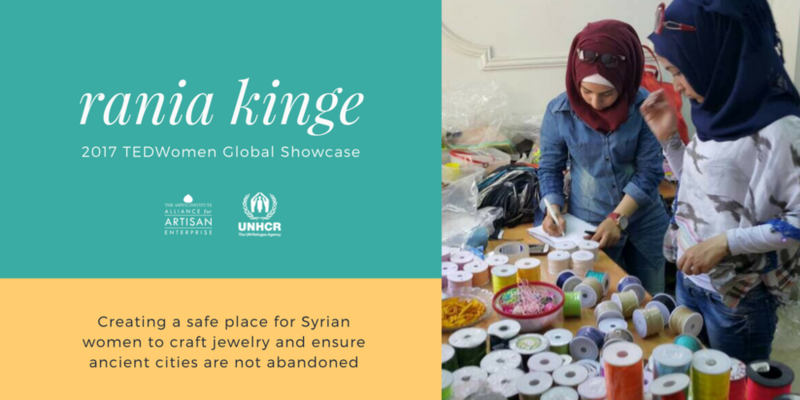 Together, these enterprises provide employment and income-earning opportunities to more than 1,500 refugee, resettled, and internally displaced women across Africa, the Middle East, and the United States. "One thing I've learned is we can achieve so much more together than we ever can alone"
The Global Showcase will be held November 1-3 at the Roosevelt Hotel in New Orleans, Louisiana. The Global Showcase is only open to attendees of the 2017 TEDWomen Conference. Find additional information about the conference at tedwomen2017.ted.com.